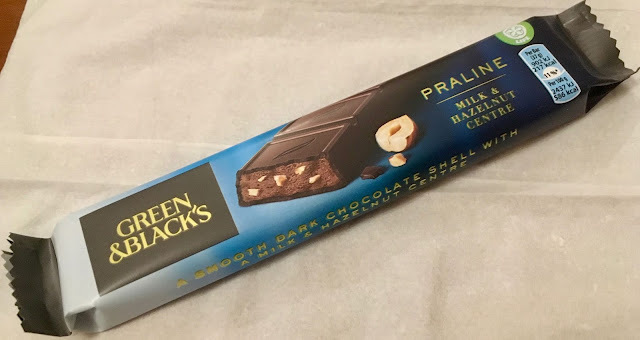 I saw this bar of Green and Black’s Praline Chocolate on the stand near the tills at Waitrose, when I was taking a glance for anything new or interesting to treat myself too. This is a bar I haven’t tried before and as it contained praline I thought this would make a nice treat for after work. It turns out this Green and Black’s Praline Chocolate bar is one to be savoured. The wrapper isn’t of the best quality, the writing on the side was even a little blurry, although I accept my photography doesn’t help the issue! The bar inside is something quite special. There is dark chocolate covering a praline filling with hazelnut pieces. The chocolate has a high cocoa content, and this makes it a very rich taste. The praline inside is silky smooth, and the nuts add texture. The hazelnut is well balanced, and this stands up to the cocoa making it a lovely mix of strong flavours. 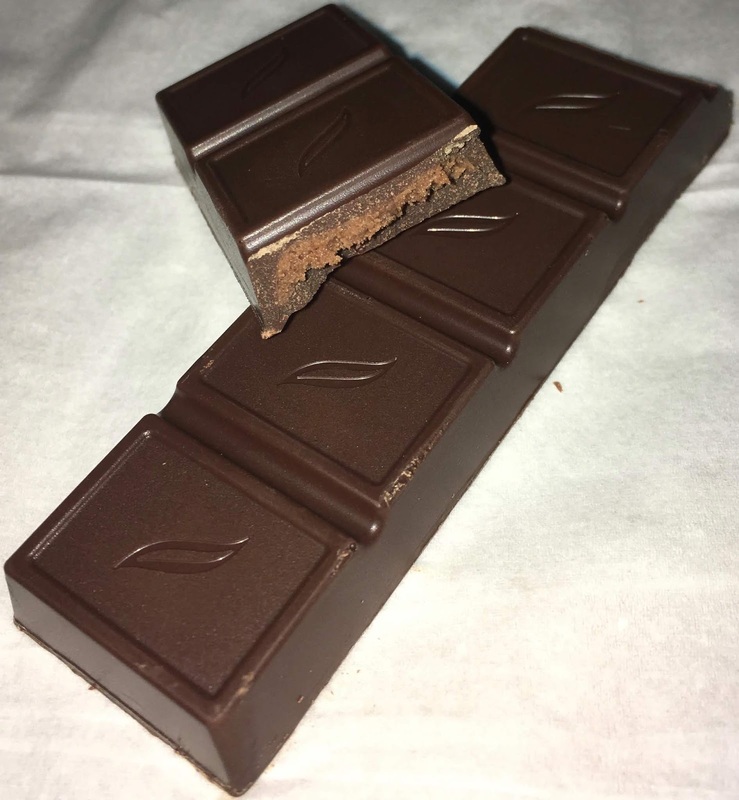 This bar took me by surprise as I thought it was going to be perfect for a quick snack, in reality this is a bar you should take time out to enjoy, the taste is complex, flavoursome but wonderfully chocolatey with plenty of nuts. It is a proper treat, and I think one of my new favourites from Green and Black.